Successfully Added 3G Android Phone "FortisX" - Dual SIM, 3.2 Inch Touch Screen, GPS, Rugged Waterproof, Dustproof, Shockproof to your Shopping Cart. 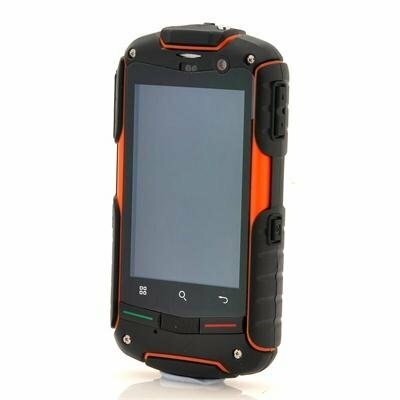 3G Android 2.3 Rugged Phone with dual SIM, a 3.2 Inch Touch Screen, GPS, waterproof, dustproof and shockproof is a superb all-purpose phone for the outdoor adventure. This rugged mobile phone also provides a set of outdoor tools and functions for any occasion such as a bright, built-in LED flashlight that turns on and off with the single press of a button. Also a mountaineering clasp with a magnetic compass to be attached to bag or other articles while always pointing you north is included in this package. 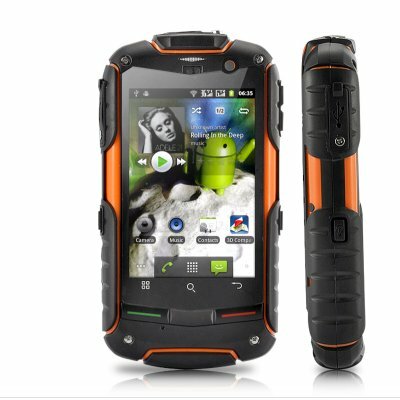 There is GPS navigation for guiding you to your destination is built-in to the “FortisX” rugged Android 2.3 cell phone. With 3G internet access allowing you to surf the internet while sharing photos, upload videos and access video chat with friends when you are in the remotest corner of the world. this professional all-purpose outdoor Android 2.3 “FortisX” mobile phone is designed specifically for tough people who need a tougher phone for the toughest environment. It's also perfect for the internet storefront re-seller who wants to offer his customers something new, unique and useful. This model is available to you at a low wholesale price from the leader in electronic devices and Android phones, Chinavasion. Good phone so far, but can't get Skype video call to work. fast cpu with a good capacitive touchsceen. on 2012-08-16 13:55:44 Very good phone. The phone is excellent. I've had it for two days now and every function seems to work fine. I was expecting a bit more volume from the speakers were incoming calls are concerned but apart form that, the phone has performed flowlessly. I cannot bring myself to submerging it though! Guess that will have to happen accidentally!